The decision to become a Firefighter is one of which takes a lot of careful consideration, it is not simply a case of submitting an application form and attending an interview as in most jobs, neither is it one which people decide to do for a while until they find something else. The competition is tough and being successful involves a lot of preparation, hard work and determination but becoming a Firefighter within the Fire and Rescue Service is very fulfilling in many ways. Many serving Firefighters spent months or even years to become what they truly wanted to be. In some cases they may not have been successful initially and been required to re-apply at a later date but in the end their hard work and commitment earned them a very rewarding lifetime career. The process of joining the Fire Service may differ slightly throughout the UK and US but the principles and personal attributes of a potential Firefighter are alike. Contained within these pages you will find not only advice that will be very beneficial to your preparation and career but also resources available to use. Some of which will provide in depth knowledge and Insider tips from Fire Officers on exactly how to pass the Fire and Rescue Service Selection process. When considering the small price of these products compared to the huge advantage that they provide someone applying to join the Service it is unquestionably a wise investment. The importance of personal qualities such as presentation and communication skills can be over looked and yet these are the first things that will be accessed at every stage of the selection phase and throughout your career. During your career you will be required to communicate effectively with members of the public, of all ages in many different ways. 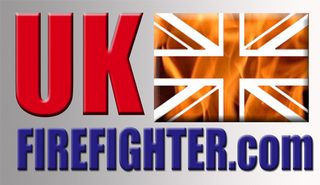 As well as with other Firefighters in sometimes, very stressful and demanding situations. The ability to calm and reassure someone who is very distressed can be vitally important in preventing them from going into shock, this can only be achieved through good communication. There are many qualities that are needed to make a good Firefighter and these will be covered in slightly more detail however, the use of specific resources to improve areas in which you feel you could benefit from would greatly enhance your performance and development.